When it comes to making the most of your Google Ads, there are a few important points to keep in mind. First of all, with Google Advertising there are essentially two main ways to ensure that you are paying the least amount of money on your advertising campaign. You can lower your cost per click, which is not likely to do much for your CTR, or you can decide to improve your Google Ads through optimization. You could read the rest of this article or if it is easier for you than reading about all the hundreds of elements necessary to make your Google AdWords campaign successful you could just pick up the phone and call the experts at Webrageous and we could manage everything for you. And if you are spending around $5000 per month on AdWords we may be able to offer you a 60 day risk-free trial of Google AdWords management! In case you are looking for case studies and success stories here are some links from elsewhere on our site: examples of 2 personal injury attorneys who have been successful with AdWords, and 2 recent examples of clients who tried our 60 day AdWords risk free trial. Enjoy huge discounts. More hotels available now! Always keep your audience in mind when writing your Google Ads. Use words that will evoke an emotional response in your audience. If people feel an emotion when they read your Google Advertisement, they are going to be more inclined to click on it. Also, try asking the audience a question. That way they will be able to confirm what they are searching for by seeing their question in your advertisement. Emphasize the benefit you are offering. Make it easy for them to perform this action by sending them to the right landing page. Make sure that your Google Advertisement is highly relevant to the landing page you are sending them to or you will only be creating unnecessary clicks. Try different ad text, headlines, keyword variations, capitalization and calls to action. By testing and tracking multiple advertisements you will be able to improve your Google Ads over time. Even high rating advertisements can be improved. Let us do it for you, for free! This Google Advertisement is to the point. It states the issue and acknowledges the customer. It then offers a promotion. Which is probably why it received a CTR of over 10%. The Problem is Registry Errors. We have all experienced problems with slow computers. This Google Advertisement tells us exactly what the problem is and then offers us their service for free. A click on the landing page shows exactly this – software to fix registry errors along with a free, no-obligation registry scan. If you are going to choose a keyword as broad as pizza delivery for your Google Advertisement, then you want to use text like this. Remember, the best Google Ads aren’t flashy. You don’t need to use unnecessary punctuation and always use appropriate capitalization. Also, the best Google Ads aren’t attention grabbing. They are simple, straightforward and honest and speak to their audience. In this case, a business with 10 employees or less searching for health insurance will find exactly what it is seeking. It may just be easier to have the experts at Webrageous write your ads for you so you can worry about running your business. To get started please fill out the contact form at the bottom of this page or call 800-645-9521. 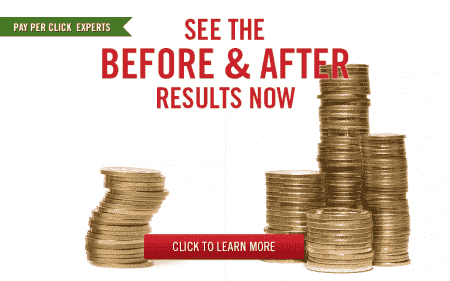 We also encourage you to watch both the testimonial and results videos below! And if you are spending around $5000 per month on AdWords we may be able to offer you a 60 day risk-free trial of Google AdWords management!